Pennywise, the terrifying clown from IT, is making a comeback, James McAvoy has confirmed. Following the 2017 adaptation of Stephen King’s infamous clown horror story, Scottish actor James McAvoy has revealed IT Chapter 2 has begun filming. Day 1 on IT 2. Don’t worry, there aren’t any creepy clowns in the photo, just some cream cheese. In Stephen King’s novel, Chapter 2 is set 27 years after Chapter 1 – the two timelines are intertwined through the narrative. The movie sequel is in line to follow a similar pattern, with the Loser’s Club now in their adult lives as they return to Derry – where Pennywise terrorised them as children. 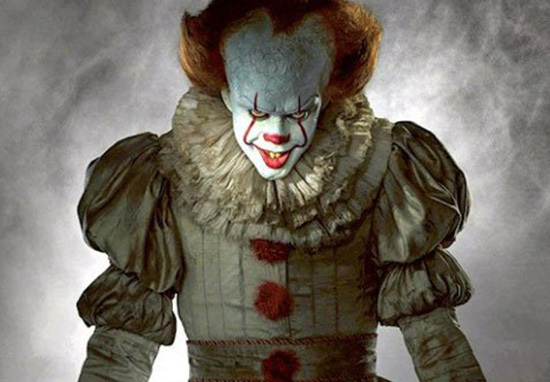 A script for the upcoming horror movie was reportedly finished in January this year, with IT director Andres Muschietti keen to return to work on the sequel. While Muschietti has not yet confirmed his involvement, he spoke to MTV about the sequel, explaining he’d be ‘very, very happy about doing Chapter Two’. It won’t be a comedy. If the second movie happens, I really want to recover the dialogue between the two timelines that the book had. Following the credits at the end of the 2017 movie, we heard Pennywise’s chilling laugh, suggesting the Loser’s Club haven’t seen the last of Ronald McDonald’s evil twin. But let’s face it, it wouldn’t be much of a sequel if they had. The character’s lives as adults play a big part in the book, NME report, with Beverly’s relationship with abusive husband Tom, and Bill’s partner Audra becoming crucial in the story. Another, more reptilian character is also in line for an important role in the second movie. Muschietti revealed the turtle Maturin will help guide the adults back to their past. The turtle plays a large part in King’s book, but was played down in the 2017 movie. I think in the second part, the turtle will try to help them. In the second movie, the turtle left a few clues to their childhood that they don’t remember. They have to retrieve those memories from the summer of 1989, and that’s how we jump back to 1989. The keys to defeating to Pennywise are left in the past, and as adults, they don’t remember. Thanks to everybody who went out to see us again this weekend! James McAvoy will obviously be involved in the film – he’s not just there to make Derry-dairy puns. He’s set to play the Bill Denbrough, (as an adult) while Variety report Bill Hader will play Richie. Of course, IT wouldn’t be complete without its leading clown, and Bill Skarsgård, the man who brought Pennywise to life in 2017, is confirmed to return for Chapter 2. It Chapter 2 is set to be released in US cinemas on September 6, 2019.